Outperforming most midsize private jets, Cessna’s Citation XLS is an updated version of the Citation Excel with increased speed and range. Offering constant reliability and seamless travel, the Citation XLS has been a favorite among pilots and passengers since its entrance into the market. 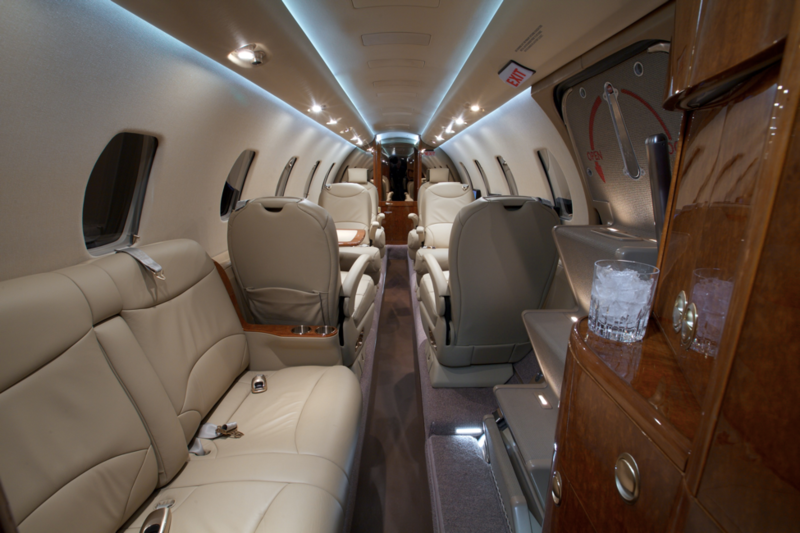 Comfortably seating nine passengers, the Citation XLS’s cabin is both quiet and draft free. Not only is the entry door triple sealed, but triple pane windows add further reinforcement. At a total cabin volume of 461 cubic feet, the cabin of the XLS is 18.7 feet long, 5.7 feet high, and 5.5 feet wide. Fold out tables and sliding headrests increase comfort and mobility within the cabin, allowing for flexible configuration based on your needs. 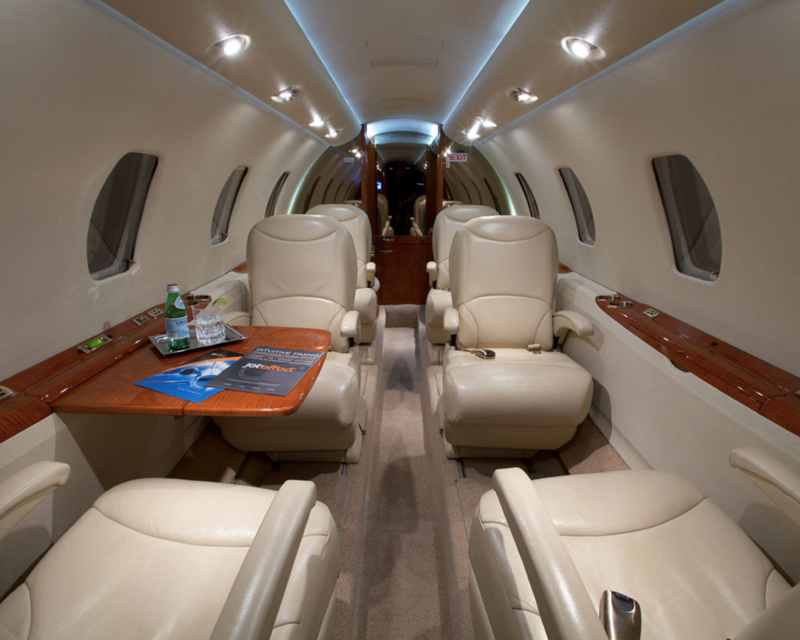 The seats of the XLS are about four inches wider than in the Citation Excel, providing more room for travelers. In addition to six executive seats, a couch adds extra comfort and is safety certified for takeoff and landings. Above the seating, LED lighting gives a natural feel to the cabin and is also eco-friendly, producing less heat than regular lights would. The XLS comes standard with air conditioning systems that ensure the cabin remains at a comfortable temperature during extreme outside conditions. At 90 cubic feet, this midsize jet offers exceptional storage space for baggage. 80 cubic feet of the space is external, while the remaining 10 cubic feet is internal and accessible for passengers. The Citation XLS can fly up to a range of 1,704nm (1,961 miles) and can take off from short runways. At a takeoff distance of 3,500 feet, the XLS has the shortest takeoff distance requirement of any midsize jet on the market. Climbing to cruise altitude in just 18 minutes, this midsize private jet outperforms its previous model and acts more like a light jet in many ways. Two Pratt & Whitney PW545B engines power the XLS and deliver about 5% more thrust than the engines of the Excel. A high pressure core increases the XLS’s engines thrust to 3,975 pounds each and fuel consumption is low. Impressive braking capabilities and minimal brake wear are due to high-capacity brakes that other midsize jets do not have. Additionally, the wings of the XLS are positioned very low on the jet, greatly reducing drag and increasing speed and performance. 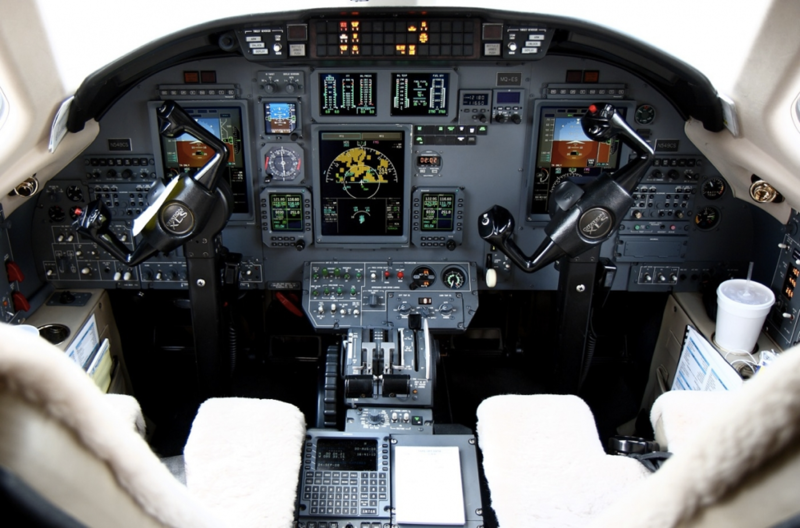 The Honeywell Primus 1000 avionics suite is very pilot friendly and was designed with the needs of the pilot in mind. Information is consolidated into three screens, and the positioning of relevant controls drastically improve the pilot’s hand-eye coordination. As an added convenience, pilots only have to set flight systems once post takeoff, as the XLS then automatically adjusts in flight. As a midsize jet, the Citation XLS has exceptional handling capabilities and consistently delivers smooth and seamless flights. Reliable systems, high performance engines and pilot-friendly avionics make for simple and efficient flights every single time.